approaches every project with a vision and draws her subjects to life, thriving off of the creative energy of dancers, musicians, circus performers and artists still finding themselves, framing each character in the light of their own vision. Her informed eye and playful direction deliver extraordinary feats from the lens to her viewers. 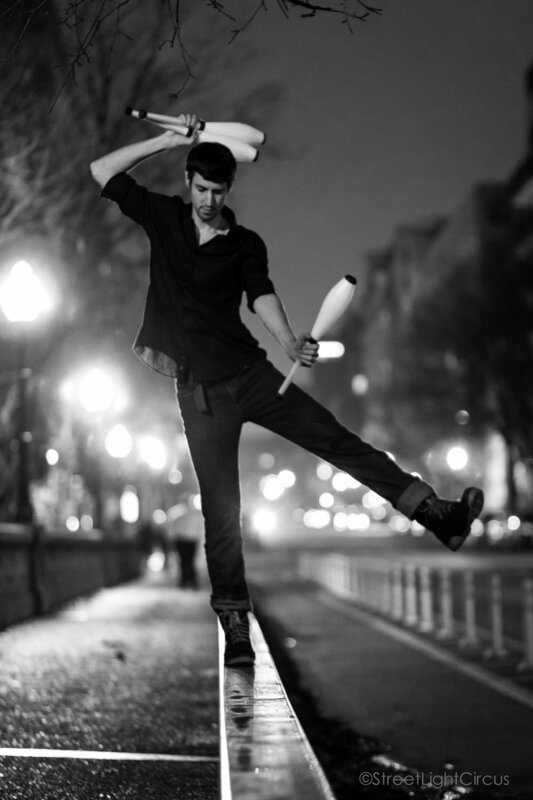 started juggling at six years old, and never looked back on a life without aerial inspiration. He’s an accomplished chef, writer and performer. Aboard food trucks, in kitchens, on the streets, on stage and from his home in Northeast, Christian has acquired a well-traveled palate -- for D.C.'s culinary, artistic and editorial delights -- without ever having to leave city bounds. is a published author and illustrator but her passion lies in circus arts. She’s studied at various acrobatic training schools on the east coast including Circus Warehouse, The New England Center for Circus Arts and The Philadelphia Circus School. She is a co-founder of Street Light Circus and currently works as an instructor at the Trapeze School New York in Washington, D.C.